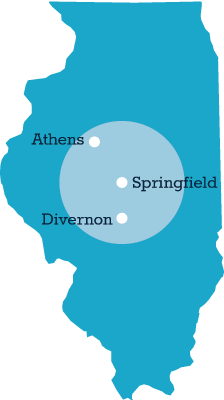 For over 20 years, Bobby Shaw Property Mintenance has provided professional, quality service for communities surrounding central Illinois. Below is a brief list of some of the communities we work in. If you don't see your community listed but would like to find out if we're available to work in your area, please call us at 217-546-3973, email us at info@bsmaint.com or submit a service request.